Maybe we don’t always put too much thought into it, but The Fourth of July is truly a unique holiday. All in one, we give thanks for our independence, we honor those who fought and continue to fight for our freedom and we celebrate a future in which our children can grow up, freely follow their hearts and boldly chase their dreams. Yesterday, Today and Tomorrow represented all at once. With that as my inspiration, I set out to plan a party that captures the timelessness and charm of the holiday. What better place to start than my own backyard! Now, having a backyard celebration doesn’t mean you’re beholden to hot dogs and paper plates. For this party design, my goal was to combine feminine elegance with vintage Americana to create a timeless sophisticated look that can easily be recreated by any host or hostess. By the end of the day I was so happy with how this party turned out. This was a wonderful opportunity to bring loved ones together and create lasting memories. Isn’t that what it’s all about? 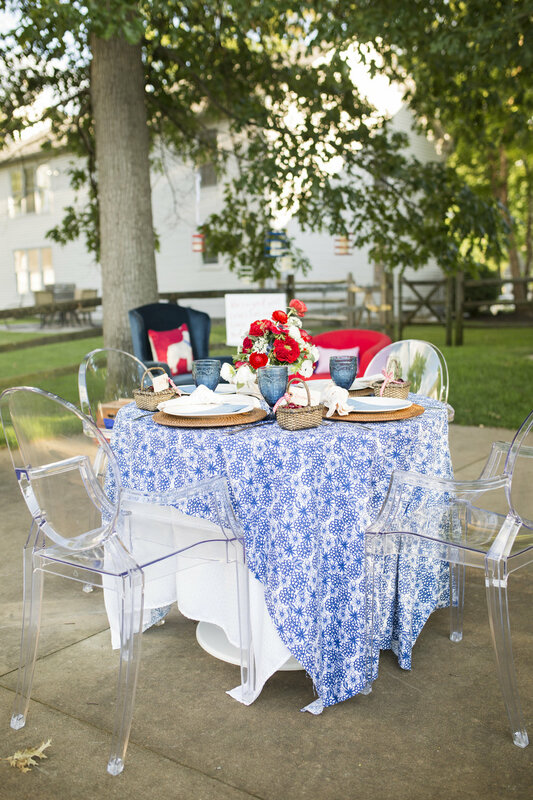 This timeless backyard celebration was the perfect way to celebrate the Fourth of July - and each other!